Ankle-foot orthoses (AFOs) are designed to improve walking or protect and support the foot and ankle. These braces start below the knee, extending past the ankle and under the foot. They are often used to help support or align the foot and ankle, but can also influence knee stability. They can be used to prevent muscle contractures in the calf. AFOs come in many designs to meet a range of needs. SA-AFOs are designed with hinges at the ankle to provide controlled movement around the ankle joint to support a desired range of motion. These are rigid braces that help stabilize the foot and ankle to bring muscles and joints into alignment. They can be used to promote healing, reduce pain, and manage severe spasticity. For individuals who are unable to walk frequently, they help stabilize the foot and ankle for transferring and maintain a healthy foot position while sitting. For individuals who are able to walk, they provide support and stability. Rigid-AFOs are also used for pain reduction. Flexible AFOs are lightweight and help lift the toes while walking to prevent trips, falls, and foot slap. These are clamshell-design AFOs with rockered soles. By fully enclosing the ankle and foot, CROWs aim to distribute pressure and protect and immobilize the foot and ankle. They are often prescribed for ulcer management or an unstable neuropathic foot. 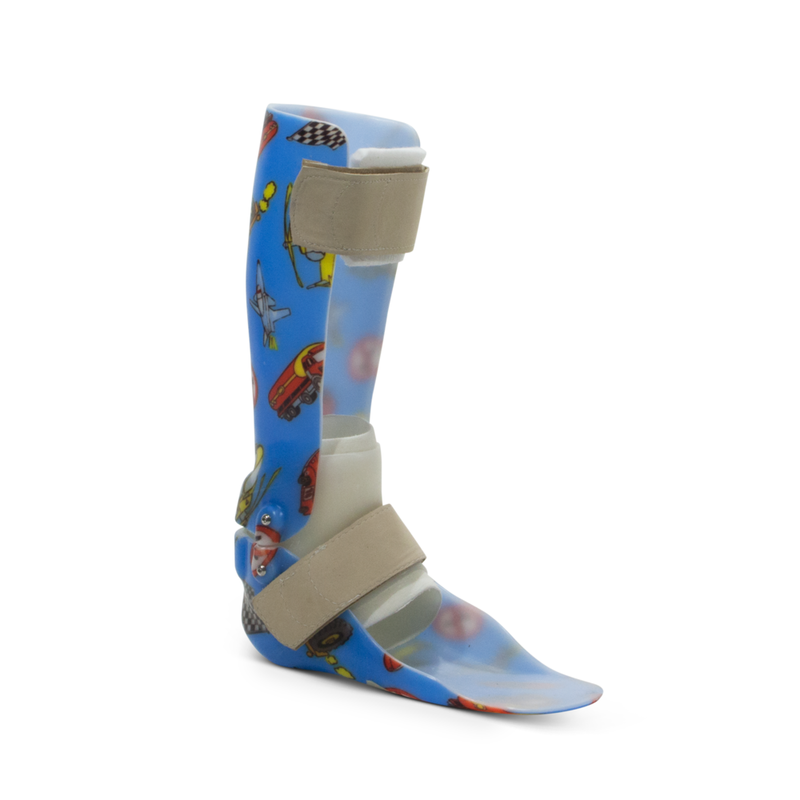 These two-piece AFOs incorporate a more flexible and smaller SMO brace inside a more rigid AFO to provide greater control and support over the foot than a traditional rigid design. Ground reaction (or anterior drape) AFOs are primarily used to prevent a crouched walking pattern and assist in straightening the knees when standing. They can also be used to limit painful ankle movements. 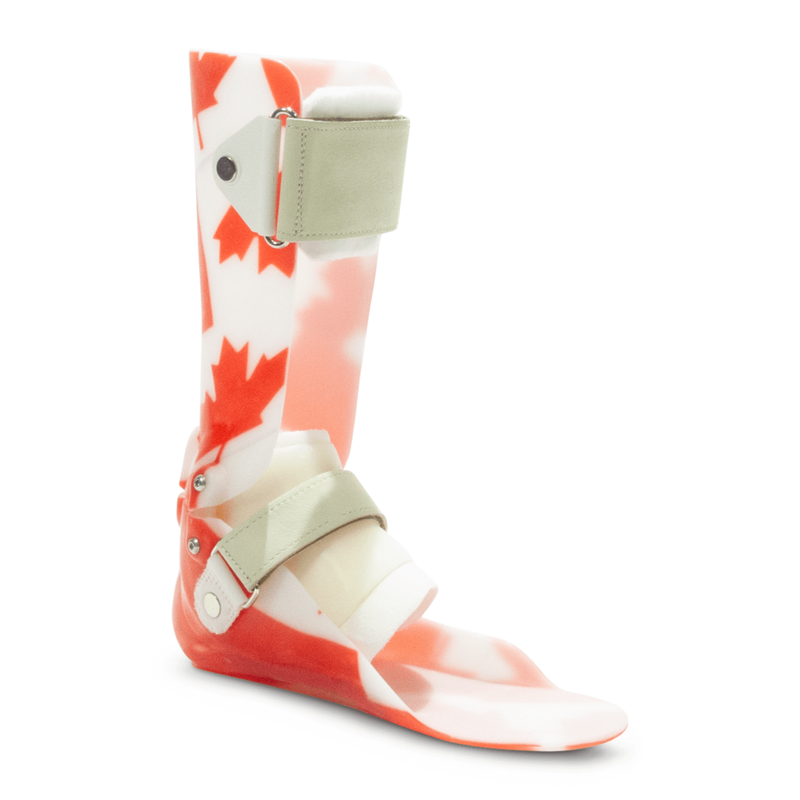 A series of lightweight fiberglass casts are applied to the arm or leg to apply a constant stretch to the muscles in order to increase range of motion. Typically applied one to two weeks following Botox® injections. A cast is put on the lower leg or arm and it remains there for a set period—anywhere from 10 days to 2 weeks. After that, the cast is removed and range of motion is reassessed. If more stretching is required, then a second or third cast may be needed. It is not painful and we encourage individuals to stay active while they have the cast on. These devices allow an electrical signal to pass through skin to stimulate muscle movement. They are most often used with drop foot. There are a variety of ready-to-wear options such as the Dictus Band and carbon fibre drop-foot braces.